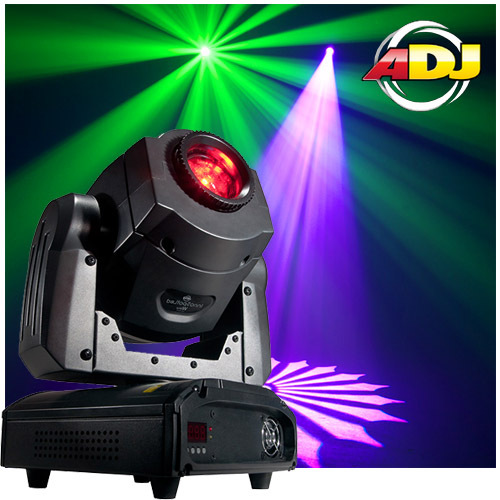 Now with ADJ’s WiFLY Wireless DMX technology, the ADJ Inno Spot LED WiFLY is a compact intelligent Moving Head with a bright 50-Watt LED engine. It features 6 rotating, replaceable gobos, 8 colors plus white, and separate gobo/color wheels. It’s hard edge beam is similar to a traditional halogen or discharge lighting effect with a fraction of the power draw (93W) or the hassle of changing out light bulbs (LED source rated at 50,000 hours). 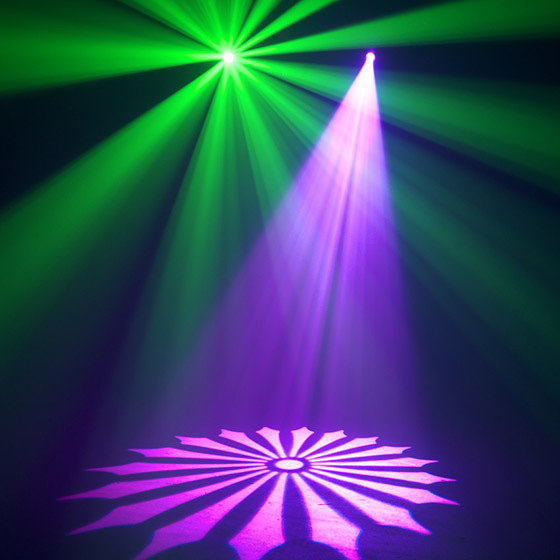 Users may control the Inno Spot LED WiFLY wireless with ADJ’s WiFLY Transceiver or other WiFLY controllers. The wireless transmission range is up to 500 feet open line of sight. 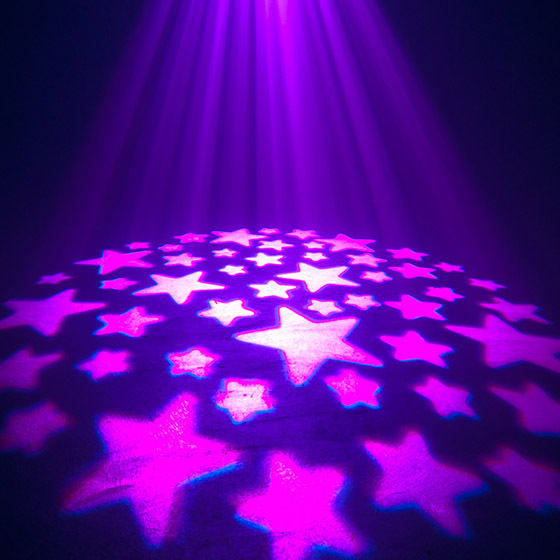 The Inno Spot LED WiFLY is lightweight and small in size making it extremely mobile, and can be set up by any size entertainer. 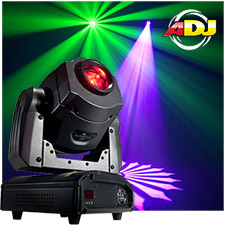 It’s feature packed with exciting built-in light shows when used in Sound Active or linked in Master/Slave mode, offers 10 DMX channels, 4-Button LED DMX menu, Dimming, Shutter and Gobo Shake effect. 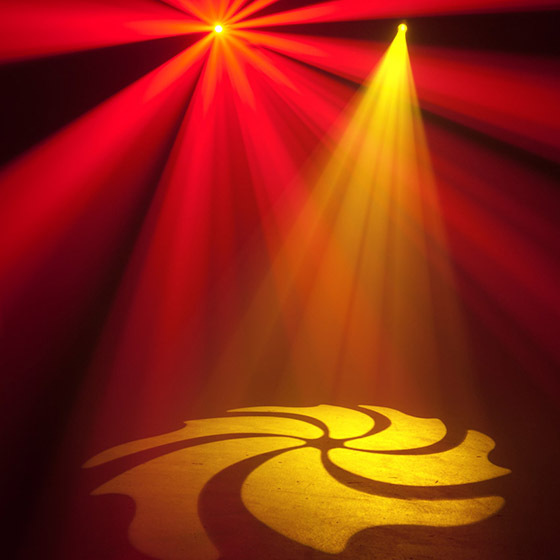 The Inno Spot LED WiFLY may be controlled via Sound Activation with it’s own built-in programs, a DMX Controller, or the ADJ UC3 easy-to-use controller.